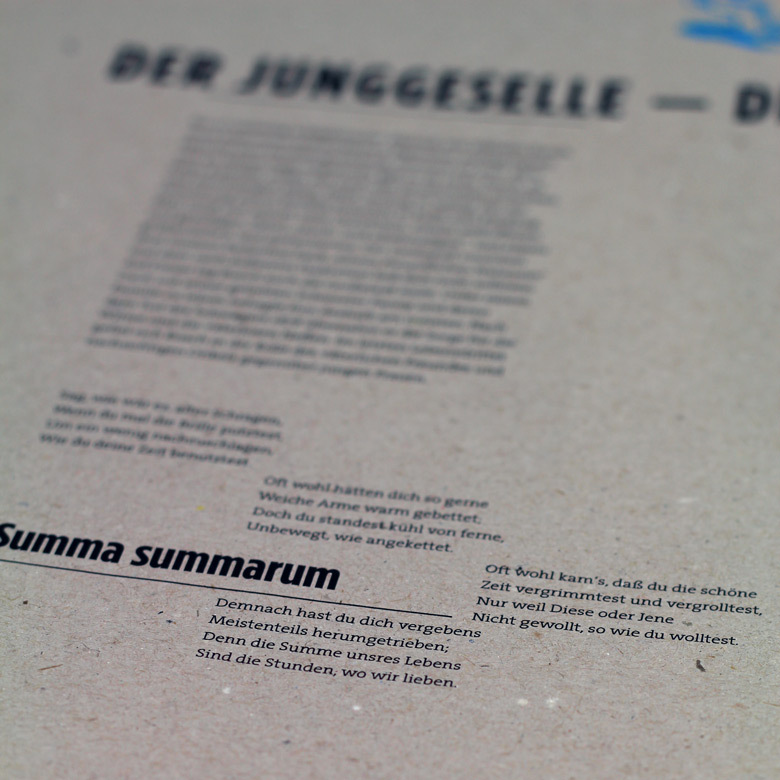 A Project from the Course „Typography“ in the 4th semester at the Lette-Verein. 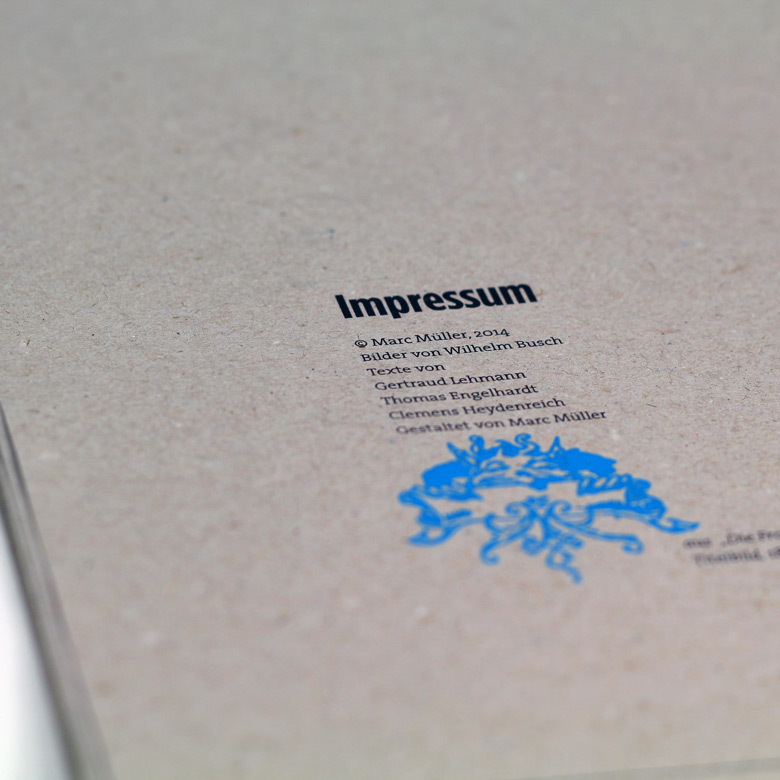 The task was to present an Artist in a printed brochure. 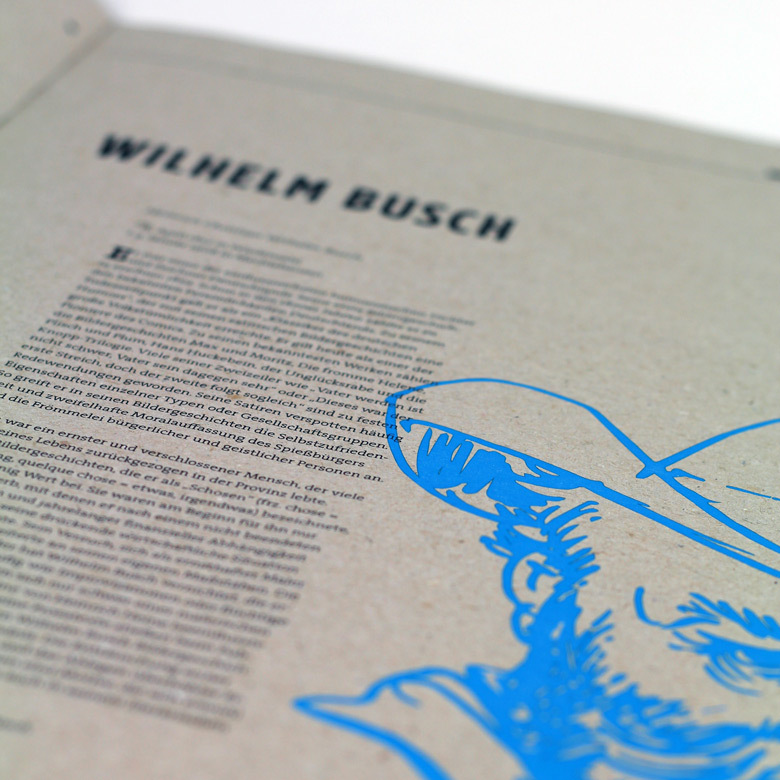 Its an portrait of the famous german caricaturist Wilhelm Busch. 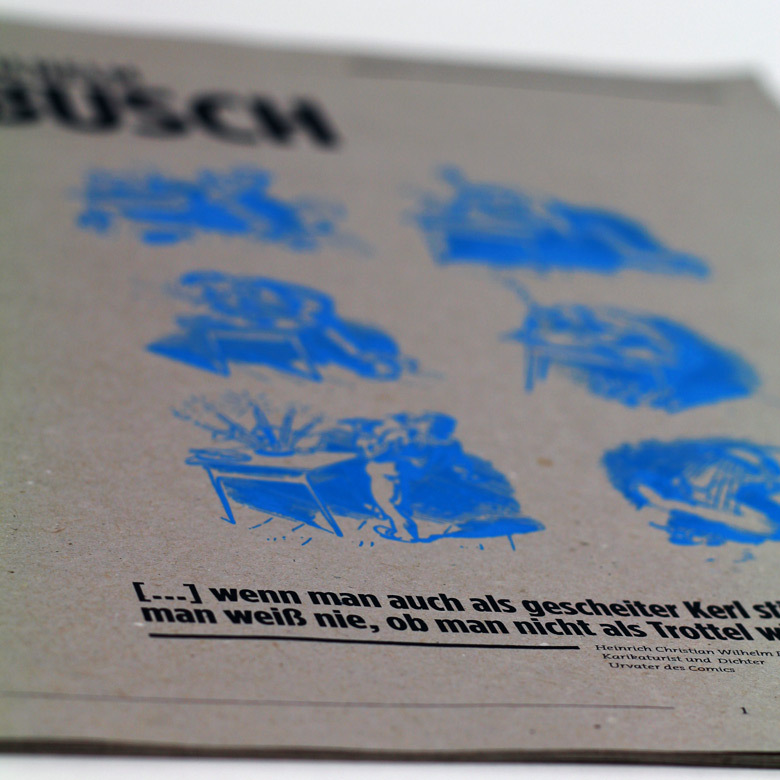 Printed on dark sketching paper. 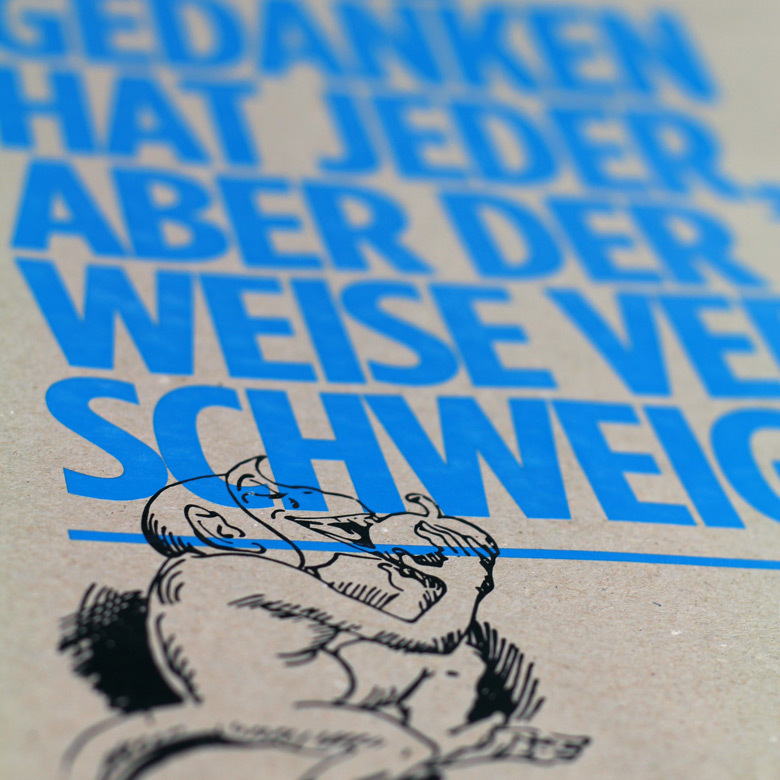 Type is printed 100% K. The illustrations are printed in 100% C on 600% White. 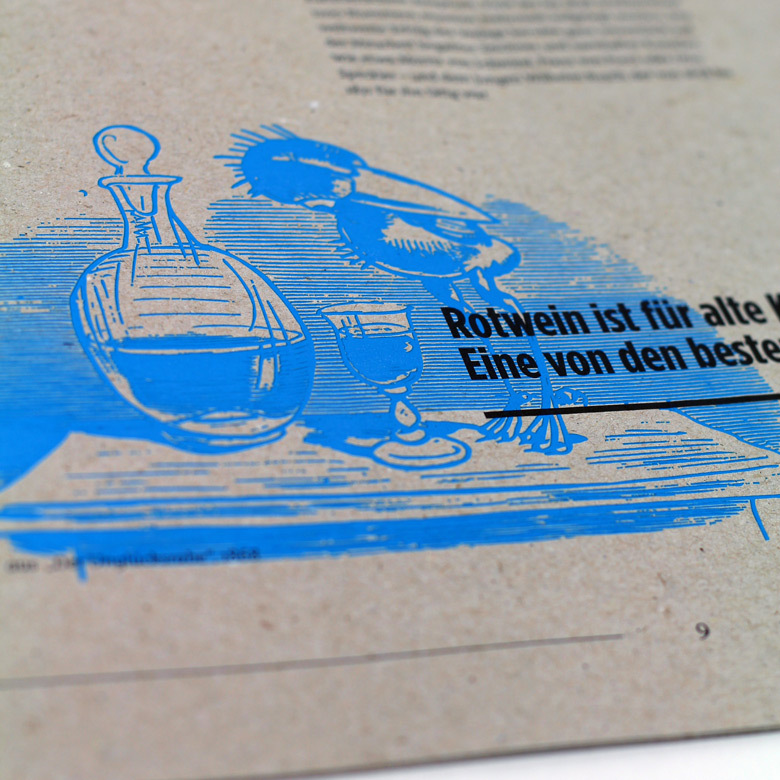 Due to that printing technique, the blue illustrations are seeming to glow on the dark paper. 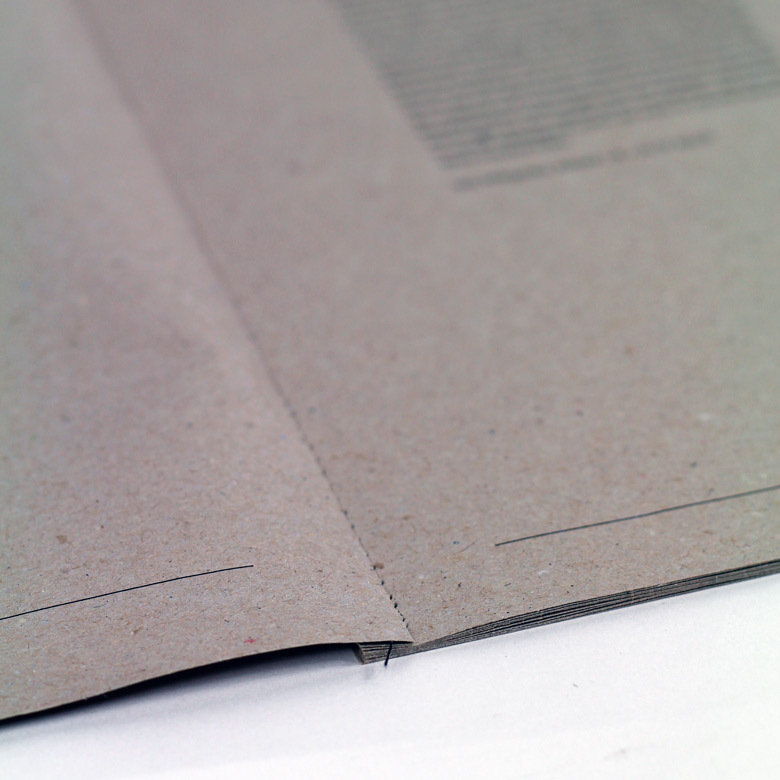 Additionally due to the 7 printing layers, they are a little embossed, which gives the Project a special Quality. 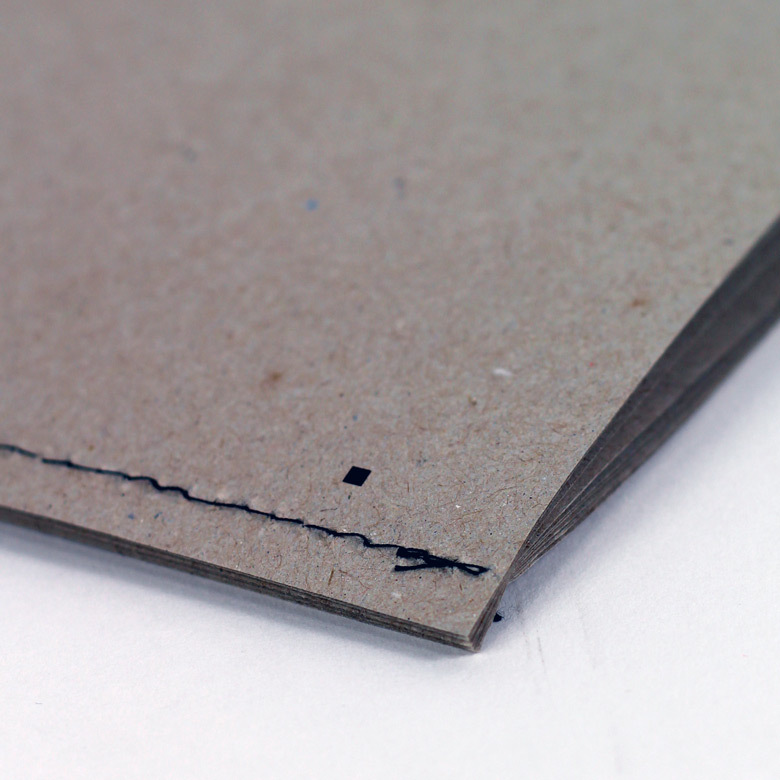 The binding was done with a industrial sewing machine. Click on the little pictures below to see some details(↓). 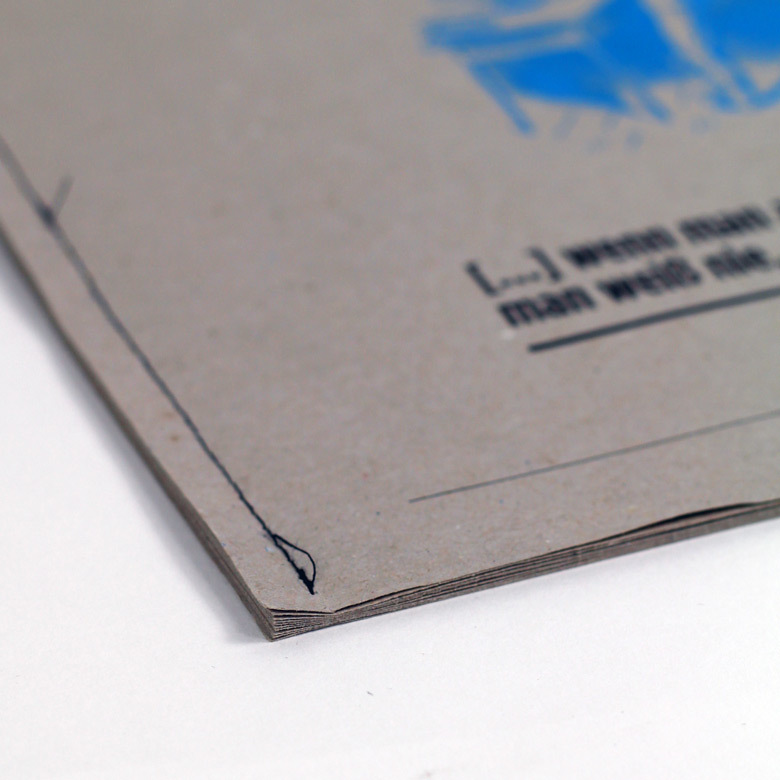 The sewing really turned out well with the soft 110g/m² Paper. To get that “glowing” look, i had to print seven layers of pure white under the final, 100% Cyan Layer. 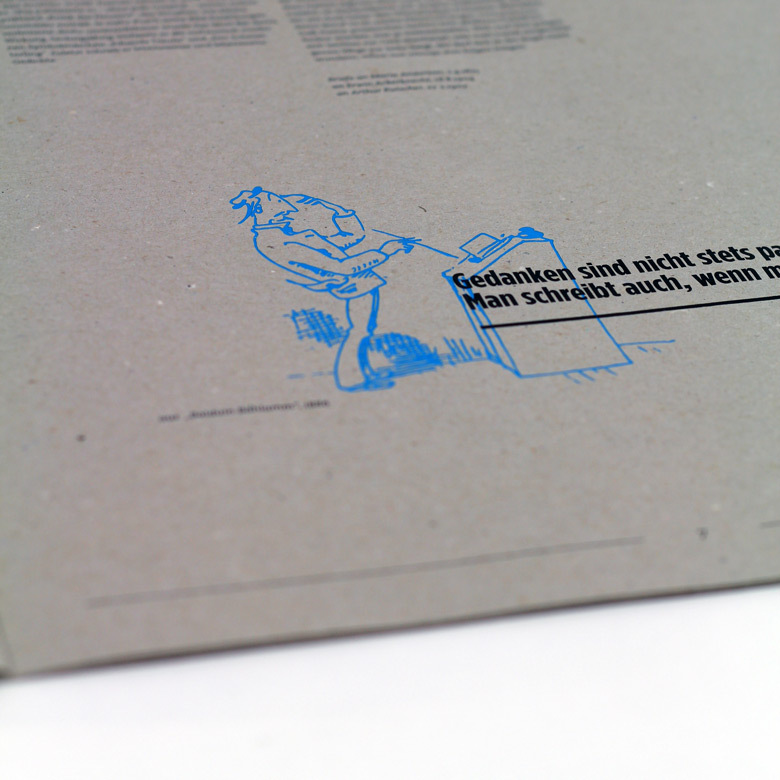 Despite the unusaul and complex printing technique, every detail is razor-sharp. 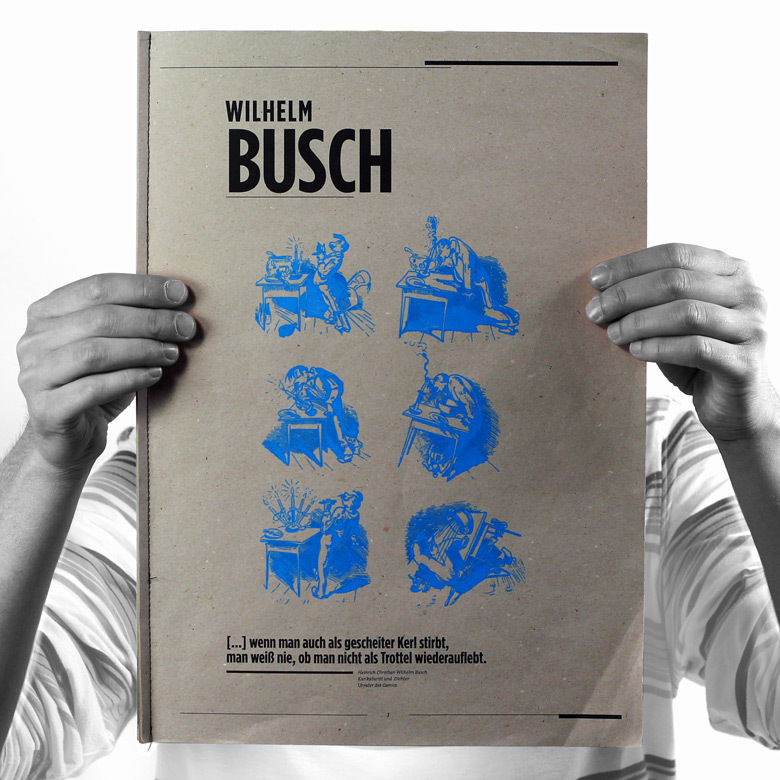 To every Illustration belongs a quotation from Wilhelm Busch. 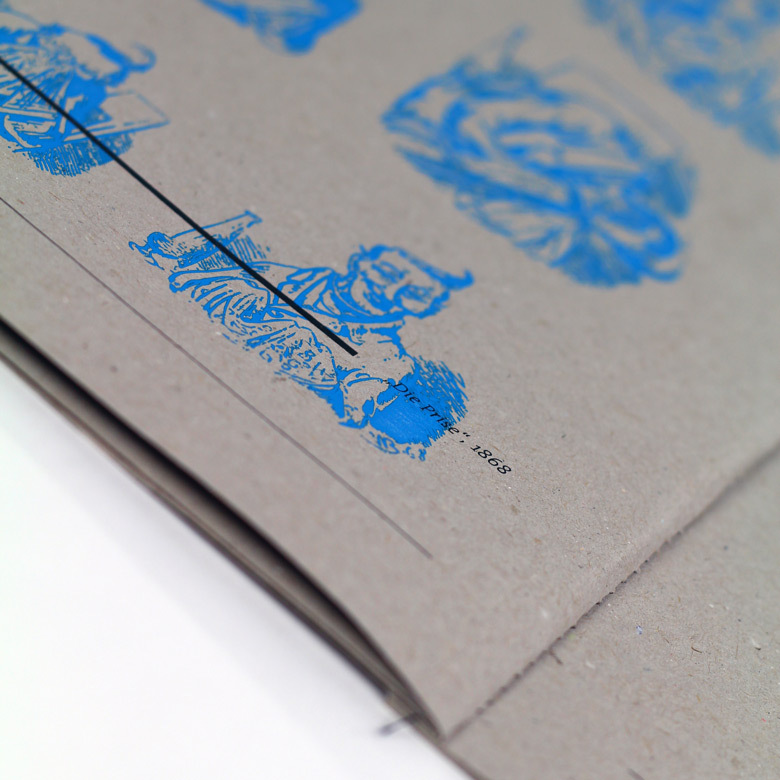 the illustrations are a little embossed, because of the seven printing layers. 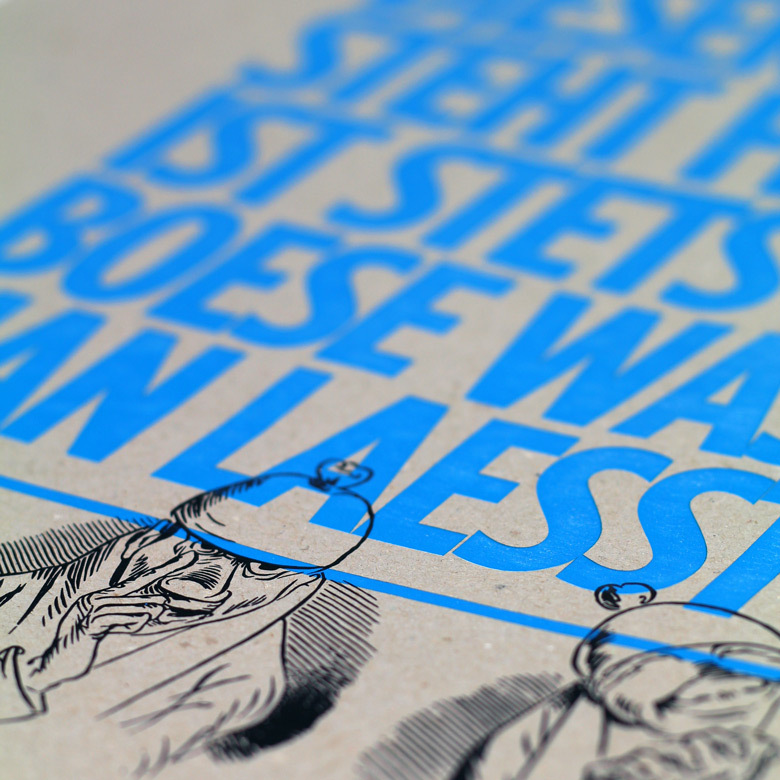 Wilhelm Busch was first a Caricaturist for news papers and because of that the articles resemble a newspaper layout. 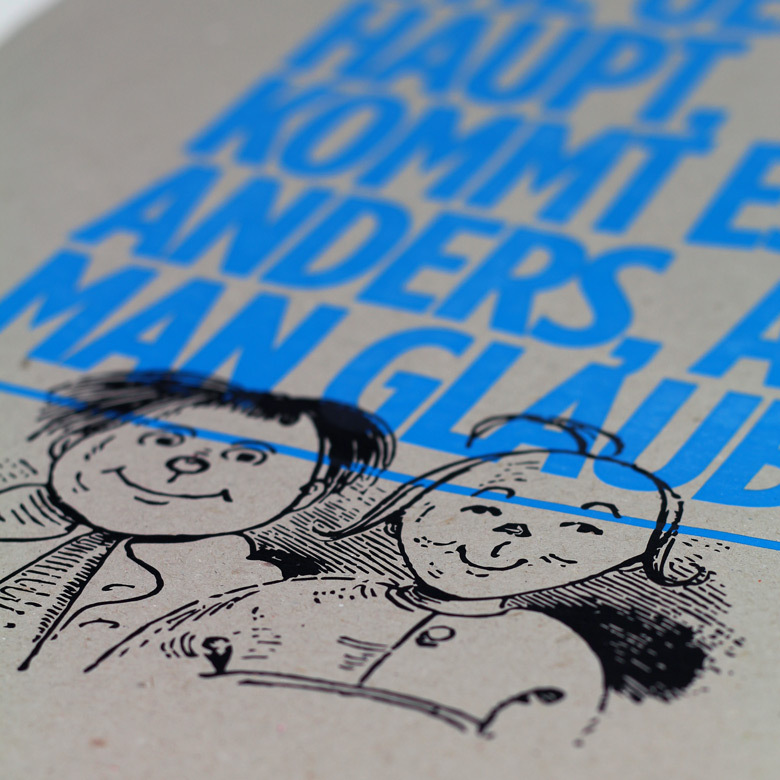 The most famous characters and the best quotes are layouted as a full-page poster. The headline typeface is gotham black with a reduced spacing and Thesis TheMix regular for continous text.